I finally got hold of John Stater's Tales of the Space Princess (not to be confused with James "Grim" Desborough's Machinations of the Space Princess, which is a very different game), and I love it! I especially love it because it's very similar to what I've been trying to do with Spectacular Science Stories. Oops. Still, there are differences in our respective approaches, so I'll keep going. I want to write a more complete review of Stater's game, but I need to do some research first, so it will wait. In fact, I want to talk about many of the other games that cover similar territory, from TSR's High Adventure Cliffhangers: Buck Rogers to Warriors of the Red Planet. Maybe even the FGU Flash Gordon game if I can manage to afford a copy. Instead, right now I want to talk about Psychic Powers and the Psychic Warriors of Spectacular Science Stories. My initial brief for them was "like a cross between Jedi and Lensmen, by way of Blue Öyster Cult", and I didn't have much more than that to go on at first. I've been playing with different ways to represent their psychic powers in the game, initially looking at a variation of the D&D Vancian system (discarded as not really good at representing either Jedi or Lensmen), then thinking about ways to adapt the WEG Star Wars RPG approach to the Force (also discarded as it would push the class far too close to Jedi for my liking). Finally, I decided to examine what makes Lensmen different than Jedi, and to consider what it was about "Veteran of the Psychic Wars" that I could import to make a real difference in the class. Not wanting to abandon the Jedi connection entirely, I looked at the WotC Star Wars method of handling the Force, too. Most of it was either too complex, too tied in with "Feats", or too close to the WEG version to be useful to me. I did like the idea of using hit points to power the abilities, though, as that helps to emphasize the fact that hit points aren't physical damage, plus it gives a potentially interesting tactical puzzle to the Psychic Warriors - spend hit points for powers or save them to soak damage? The main thing about the Lensmen is that their powers don't really have much of an effect on the physical universe directly. Their real strength is in their ability to affect the minds of others and to sense things at a distance. On the other hand, I didn't want to completely discard the Jedi ability to manipulate things at a distance, though I also didn't want Psychic Warriors floating space fighters around by wiggling their fingers. What I think I am going to do is divide abilities into Power Groups, like Telepathy, Psychic Combat, Self-Control, and so on. Each Power Group will have five levels of ability, each with one power. At each character level, the Psychic Warrior's player gains two levels to distribute among the Power Groups as he wishes. I currently have six Power Groups (Healing, Probability Manipulation, Psychic Combat, Remote Sensing, Self-Control, and Telepathy), so it would take a character being at 15th level to have all of the abilities at their full capability. Since that would require 20,480,000 experience points, that is a long way off for most characters! Plus, I do plan to come up with other Power Groups (and let my playtesters come up with some if they want), as well as providing loose guidelines for Referees to develop their own. Psychic Warriors do not become a master of every psychic ability there is. Here are my current notes for Psychic Powers. Note that most of them are not defined enough to even have a cost yet. Also, the Healing abilities will only be usable on others, never on the Psychic Warrior using them (except for "Transcend Death", which can only be used on the Psychic Warrior using it). Keep in mind that I am also going to be disconnecting hit points from injury. Basically, while you have hit points you aren't injured, but when you run out and get hit you roll on an injury table. Note that the Healing Power Group doesn't actually allow you to heal physical injuries! This is deliberate. I am thinking about the idea of Advanced Powers, which require two Power Groups at high ability to be able to choose them, and which give one powerful ability instead of improving any of the Power Groups. I'm still thinking of ways to play up the "Veteran of the Psychic Wars" angle. Maybe introduce a streamlined Sanity system from Call of Cthulhu? I dunno. 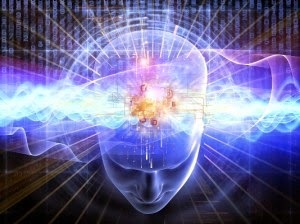 Maybe the Mind Control ability is enough, since it will allow editing of a target's memories.